our apprentice Ameha scoops the silver! Over 100 construction apprentices and trainees competed over 3 days at the NEC, Birmingham at the CITB SkillBuild 2015 competition and our apprentice Ameha won SILVER in the ‘Plastering’ category! 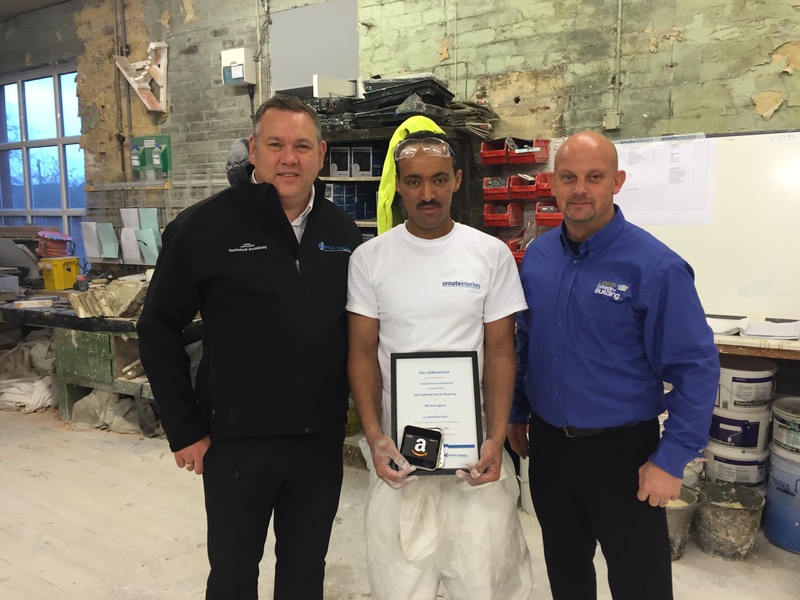 Photo: Ameha being presented with his Silver in Skill Build Plastering from David Kehoe from British Gypsum and Marks Sims from Leeds College of Building. Congratulations to Jamie Acheson for winning Gold and Alex Sumner for winning Bronze in the ‘Plastering’ category!